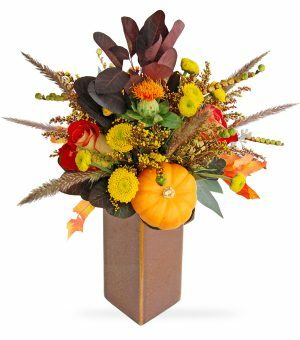 Warm fall colors are so lively in this arrangement. 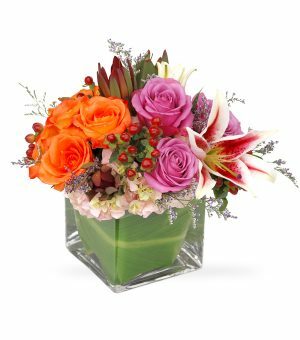 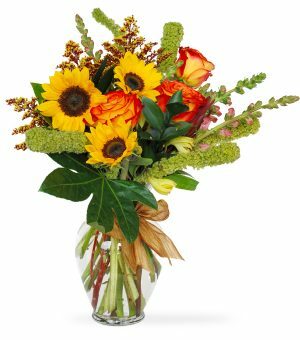 It consists of Roses, Asiatic lilies, hyperricum berries, solidago, assorted color mums. 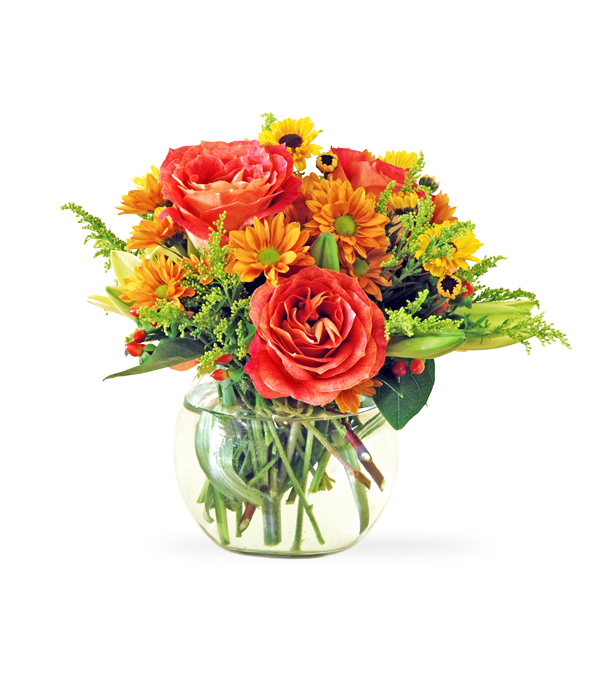 All of it is arranged in a round clear glass vase.